CINCINNATI, Ohio – Going above and beyond. A touching photo of a Cincinnati police officer, and a toddler is going viral after it was posted on Facebook. Officer Daniel Hils said when the 3-year-old boy was found wandering the streets, officers opened up their hearts to him. Officer Hils said the child needed clothes so Officer Jamie Landrum bought him a coat, pants, shoes and fresh diapers. 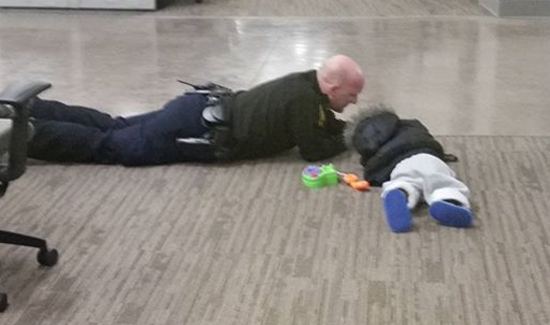 In the touching photo, Hils said Officer Will Nastold is trying to help the little boy take a nap. According to FOX 19, a relative is caring for the child after his mother was arrested.